FM Approved hydrocarbon leak detectors benefit end users and manufacturers by providing a more encompassing certification. Performance-based testing provides assurance that FM Approved hydrocarbon leak detectors will meet application requirements and deliver reliable protection. FM Approved hydrocarbon leak detectors are listed in the Approval Guide, a source of vendor information for nearly 1,800 FM Global field engineers worldwide as well as thousands of FM Global clients, engineers, code authorities, designers, contractors and architects. The FM APPROVED certification mark delivers an immediate competitive advantage, including broader market potential and product differentiation. Hydrocarbon leak detectors are used to monitor areas where hydrocarbon liquids such as gasoline, diesel, hydraulic fluid, heating oil and jet fuel are stored in above-ground tanks at airports, factories, farms, hotels, hospitals, municipal garages, shopping malls and office buildings. While usually stored to support ongoing operations, many hydrocarbon liquids are also stored for emergency purposes, to power generators or emergency vehicles. Properly engineered and installed above-ground storage tanks for hydrocarbon liquids offer many advantages over below-ground tanks. In general, leaks are easier to detect and faster to contain. Above-ground tanks can be relocated as needed or removed when a property changes hands or purposes. Above-ground tanks to store diesel or gasoline for large-scale emergency generators, for instance, are often located in parking garages or rooftops. Leaks in these tanks and associated piping, joints and valves can result in discharge that not only impacts the immediate structure, but also can find its way into storm drains or nearby streams and ponds. Leaks can occur from corrosion, broken connectors, human error, lightning strikes, vandalism, vehicle strikes and even high winds. Many factors must be taken into consideration when planning the installation of an aboveground storage tank. Factors such as site and tank selection, proper base and containment, grounding, venting, maintenance, inspections and labeling all must be considered. FM Global Data Sheet 7-88, Flammable Liquid Storage Tanks, provides guidance for engineers, designers, contractors and building owners in many aspects of tank selection, location, venting and other factors. Even minor hydrocarbon liquid leaks and spills can result in expensive incidents if not detected early. Clean-up costs, fines, lost good will, and potential litigation can rapidly escalate. Hydrocarbon leak detectors, including probes, sensing cables and other devices can provide quick and accurate detection and notification in event of a leak. These detectors are typically linked to a control panel that can provide various levels of automated alerts and other actions. Typical monitoring applications include: beneath day tanks, around pump pads, below valves or other flanged connections, near threaded indoor pipe couplings, and at flexible hose couplings to engine injector pumps. FM Approvals evaluates hydrocarbon leak detectors using Approval Standard 7745, Hydrocarbon Leak Detectors. This standard was originally introduced in 2009 and initially covered only diesel fuel leak detectors. In 2012, Approval Standard 7745 was expanded to cover leak detectors for almost any hydrocarbon liquids as specified by the manufacturer. The standard includes performance tests based on the manufacturer’s specifications for minimum detection sensitivity for leaks on dry floors, film on water, and varying water depths. Leak detectors must respond within 30 seconds of exposure to the specified hydrocarbon liquid. FM Approvals is the only Nationally Recognized Testing Laboratory to include performance testing to verify manufacturers’ claims relative to specific liquid hydrocarbon targets in addition to certification for hazardous locations (or explosive atmospheres). The detectors are also subjected to a variety of stresses, including vibration, corrosion, voltage variation and surges, dust, temperature, humidity, static discharge, and are supervised for various failure modes. All FM Approved leak detectors must comply with the performance standards of Approval Standard 7745 and the appropriate hazardous (classified) locations (or explosive atmospheres) standards. As with all FM Approved products, manufacturers must also demonstrate a quality assurance program, adequate documentation, and initial and periodic surveillance audits. The primary focus of Approval Standard 7745 is in rapid detection of the leaking hydrocarbon liquids. The intent of the 30-second alert performance requirement is to identify a leak before it escalates into a disaster. By extending Approval Standard 7745 to include a wide range of hydrocarbon liquids in many different occupancies, the revised standard benefits end users and manufacturers by providing a more encompassing certification. The custom-tailored FM Approvals certification program ensures that the FM Approved hydrocarbon leak detector will perform according to the manufacturer’s specifications, as well as in accordance with appropriate hazardous (classified) location standards. The FM Approvals certification program is an investment that demonstrates a manufacturer’s confidence in their products. While FM Approval testing is considered among the most rigorous in the world, it is also a quality indicator that will help differentiate a product from the competition. FM Approvals partners with its customers, providing insights that can strengthen product design and by providing ongoing support.  FM Approved products are not only listed in the Approval Guide but, just as importantly, FM Approved products are specified and accepted by building owners, designers and code authorities. A refinery in France sought an effective hydrocarbon leak detection system for its fuel storage tank that would immediately alert operators and trigger an emergency response in the event of a leak. Hydrocarbon leaks pose an extreme danger if they’re not quickly detected. The detection system vendor determined that the refinery needed a fast acting device that could detect hydrocarbon fuel spills and not react to water. Because oil is often on the surface of rainwater, a sensor was needed that could quickly detect a leak and allow drain valves to close before fuel escapes into storm drains or surface channels. FM Approved fast response sensors from a leading manufacturer were deployed. The leak detection sensors will trigger an alarm within a few seconds of initial contact. In addition, the probes can be cleaned and reused.